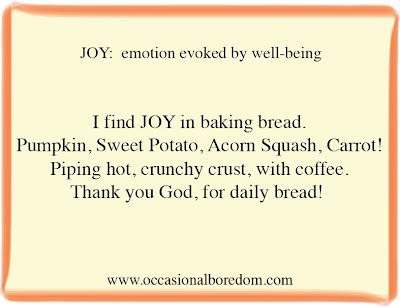 Joy... a beautiful word, quiet contentment to me. 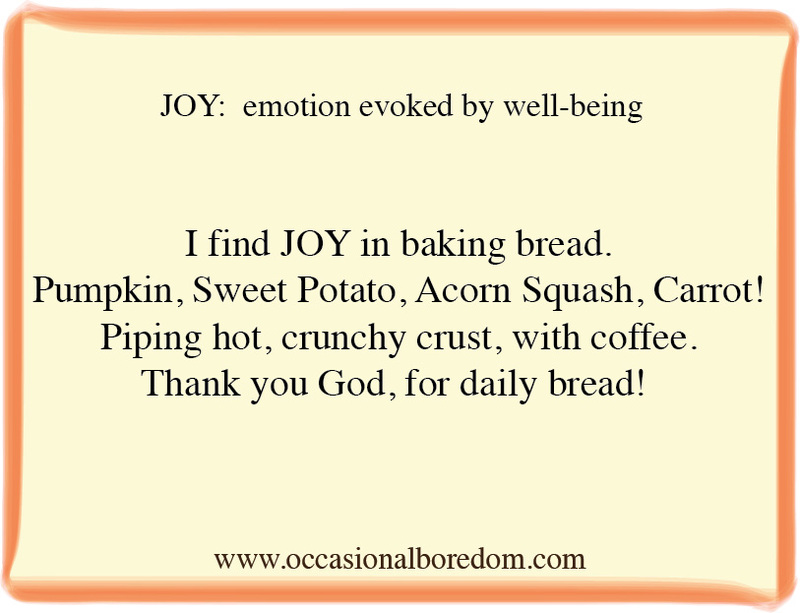 Joy... such a beautful word..... quiet contentment? It is nice that you can find joy...it is amazing how people do not seem to want to find it. Glad you found "Joy". Had she been missing for long? now you have made me hungry...nothing like fresh banana or pumpkin bread! mmm banana loaf cake - ooh you've set me off now, haven't baked one for ages! and joy is a great word! Now I'm craving hot pumpkin bread!